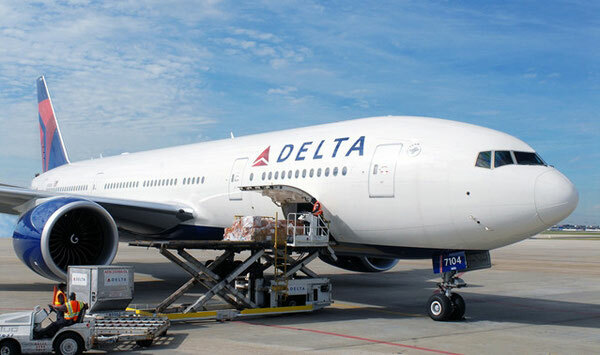 Delta Air Lines has announced that it will cease its Atlanta-Dubai service from Feb. 11, 2016 and also has cancelled its US$5 million annual membership of the U.S. airline trade group Airlines For America (A4A). Both decisions are intrinsically linked to its ongoing battle, together with American Airlines and United Airlines, to keep three Gulf carriers, Emirates, Etihad and Qatar, from further expanding their networks in the U.S. Meanwhile, Emirates has refuted Delta's excuse for Dubai exit, calling it a politically motivated step. Delta's arguments to cease its Atlanta-Dubai service are flimsy and unconvincing at best, as they fail to mention that the U.S. carrier has had no competition from any of the three Middle East rivals on this specific service, because none of the Gulf carriers operate from the Middle East to Atlanta. Qatar Airways has announced plans to launch service from Doha to Atlanta from June 1, 2016, but until now Delta has had the Atlanta-Dubai route entirely to itself but, for whatever reason, has failed to make the route profitable. One of the possible reasons for this failure is that Delta, nor the two other U.S. legacy carriers, can offer passengers or cargo customers the convenience of a beyond network from the Middle East to the Indian sub-continent to destinations such as India, Pakistan, Bangladesh, Nepal and Sri Lanka, something which its Gulf rivals have heavily invested in and expanded in the past few years and continue to do so. In a reaction, the Business Travel Coalition (BTC), which is a very vocal critic of the protectionist moves by the three U.S. legacy carriers, noted that: "Delta's (US3) war on Gulf carrier entry into U.S. markets has now entered the operational and financial drawdown phase. "The multi-million dollar US3 campaign to demonize the Gulf carriers was doomed from conception with tepid backing from other US airlines and zero support from consumers, corporate travel departments and other industry stakeholders such as cargo carriers and airports adversely impacted by US airline industry consolidation." According to studies by Emirates, the Atlanta to Dubai route is a cash generator for Delta. In a reaction, the Gulf carrier noted: "Considering that over 55% of the traffic that Delta carried on the route connects in Dubai to or from destinations in India, Afghanistan, Iraq, and other cities in the Gulf, it is also disingenuous for Delta to point the finger at Gulf airlines for carrying traffic to the U.S. that does not originate in their hub city.” It added that its studies indicated that the route was a highly profitable one, with an estimated route profitability of over US$10 million a year, or a route net margin of 7%. Meanwhile, the Dubai-based carrier, which currently flies to 10 points in the U.S., confirmed that it is considering adding a service between Dubai and Atlanta to its network, a move which is likely to be fiercely resisted by the American carriers and notably by Delta, because Atlanta is its global hub. Delta has been the most ﻿﻿vociferous of the American critics and its chief executive, Richard Anderson is seen as the most outspoken in his criticism of the Gulf carriers. In an interview with CNN earlier this year, he linked the Gulf carriers to the September 11 terrorist attacks in 2001. The airline later apologised for the remarks.